Grey Matter Art will be attending New York Comic Con 2016 this weekend and setting up shop at booth #3064 with an insane line-up off limited edition movie posters and screen prints!!! 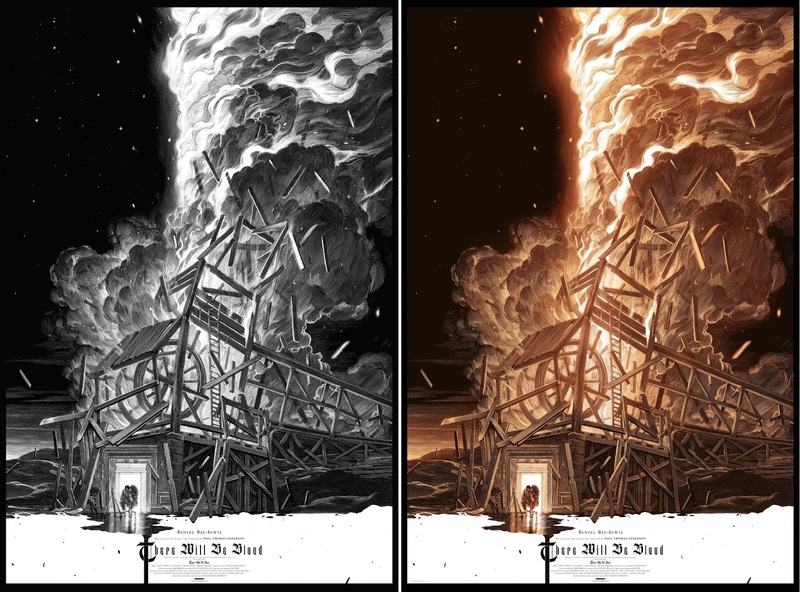 That includes this fantastic officially licensed movie poster for There Will Be Blood by fan favorite artist Nicolas Delort. This is GMA’s first time working with Delort and he knocked it out of the park with this design. 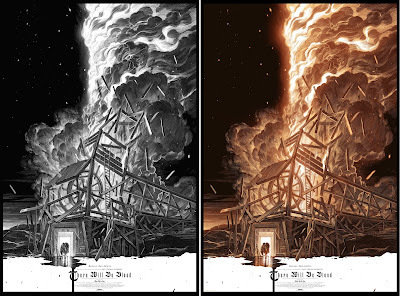 There Will Be Blood by Nicolas Delort is a 24”x36” screen print. The Regular Edition is limited 300 pieces and retails for $50, while the Variant Edition is limited to 200 pieces and retails for $60. Any remaining prints will go on sale at the GMA online store on Thursday, October 13th, at 1:00pm EST.